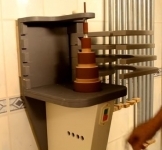 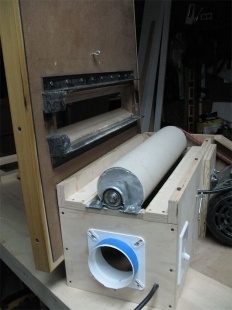 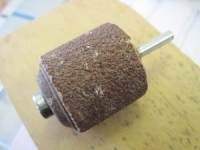 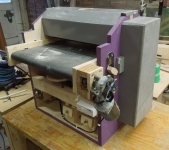 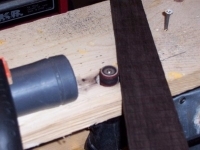 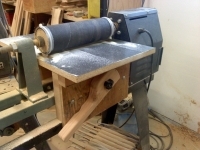 Homemade drum sander constructed from MDF and featuring an aluminum drum turned by a 3/4 hp motor. 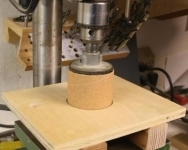 Nice, simple design. 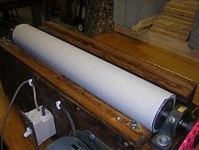 Finding an aluminum drum would be the hardest/most expensive part for me. 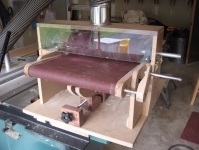 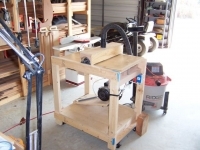 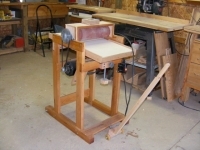 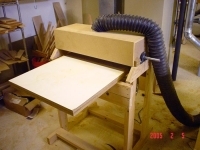 Drum Sander by Russell S.